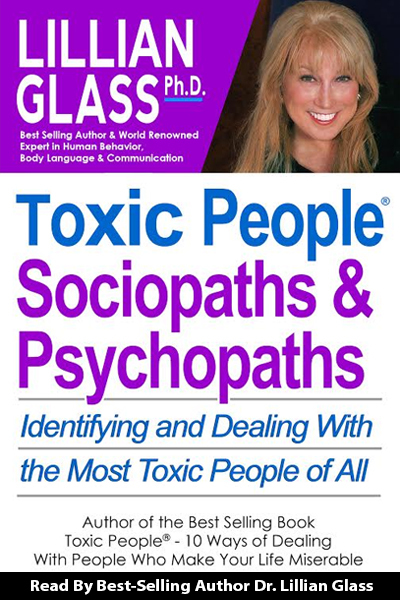 As part of her TOXIC PEOPLE ® Audiotape series, In TOXIC PEOPLE: SOCIOPATHS AND PSYCHOPATHS, – Dr. Glass helps you identify and deal with with the most toxic of all people. Read by Dr. Lillian Glass, world renown communication expert , Dr. Glass is the is the original author of the best-selling book since 1995 Toxic People. Through the popularity of this book she coined the phrase “toxic people” used in today’s vernacular. Early recognition of the sociopath and psychopath can help prevent havoc in your life and even save your life.